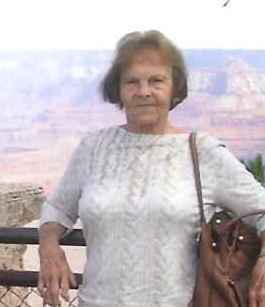 Virginia Blockover Scott, age 77 went to her heavenly home on Saturday March 23 at Carolina Pines RMC. Funeral services will be held Thursday at 2:00 at the Spring Branch Baptist Church. Rev. Buddy Amerson and Rev. Wayne Cash will officiate. Burial will be in the Magnolia Cemetery directed by Norton Funeral Home. Visitation will be one hour prior to the service at the church and at other times at the residence at 1359 Sailclub Road, Hartsville. Virginia was born in Bishopville a daughter of the late Ross and Ethel Hopkins Blockover. She was a member of Spring Branch Baptist Church. Surviving are her husband, Kenneth Scott, Hartsville; one son, Michael (Hillary) Pavelich, Centreville, MD; five grandchildren, Melissa (Carl) Mitchell, Bishopville, Ashley Pavelich, Florence, Heather Pavelich, Centreville, MD, Bryson Pavelich, Centreville, MD and Emily Ivey, Virginia Beach, VA; four great grandchildren; three step children, Kenneth Robert (Leia) Scott, Jr.., Marietta, S.C., Nora (Allen) Tamburrino, Hartsville and Rod Paulhus, Hartsville,; four step grandchildren; Foster Son, Jimmy Russell, Vine Grove, KY.
Norton Funeral Home is honored to serve the Scott family.